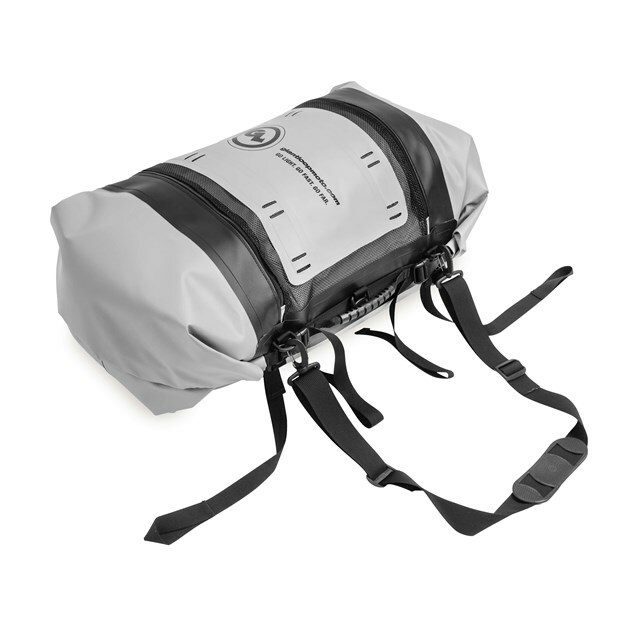 The 100% waterproof Columbia Dry Bag opens from both ends, providing you with quick access to gear without the need to unstrap the dry bag. 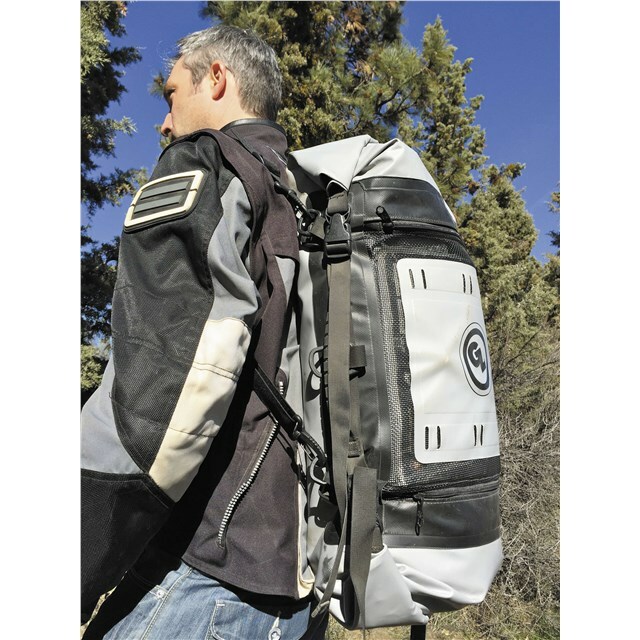 It features four integrated anchor straps to securely fasten to almost any large motorcycle and is compatible with the Siskiyou Panniers and various other hard luggage. Separate your wet gear from the dry with the included wet pocket on the exterior, which is accessible via zipper on both sides.